Following yesterday’s look at our classical music highlights for 2018, the Limelight team today looks back on the opera productions that have excited us most across the last 12 months. 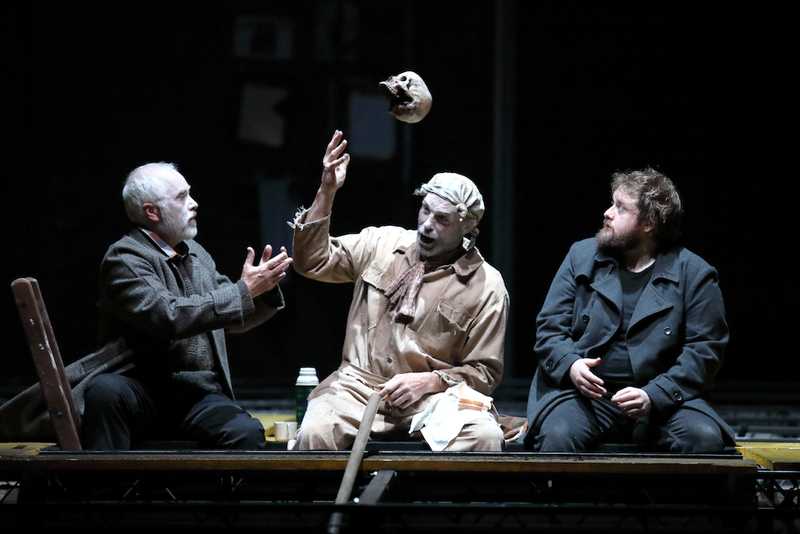 Brett Dean’s new opera Hamlet, directed by Neil Armfield, arrived in Australia to open the Adelaide Festival after much fanfare following its premiere at Glyndebourne. To see an Australian opera generate such a buzz at such a major event felt like a real moment. The stunning, unsettling score, superbly played by the Adelaide Symphony Orchestra under Nicholas Carter, was matched by the monumental set and dazzling theatricality. Among a strong cast, Allan Clayton blew everyone away in the title role. Not only was it exciting to see a revival of Brian Howard’s 1983 opera Metamorphosis, but it was fantastic seeing it in a new, make-shift venue in the OA scenery dock where the grungy atmosphere really suited the opera. Starring Simon Lobelsen as Gregor Samsa, Tama Matheson’s production drilled right into the grotesqueness, pathos and dark humour of the piece, while the complex score shimmered and slithered into brilliant life. To have the composer himself there at the Sydney opening was also pretty special. We argued in the Limelight office over who would pick Barrie Kosky’s dazzlingly absurd production of The Nose in this round-up (I ultimately ceded Brian Howard’s wonderful Metamorphosis to our Editor), such was the impression it left. 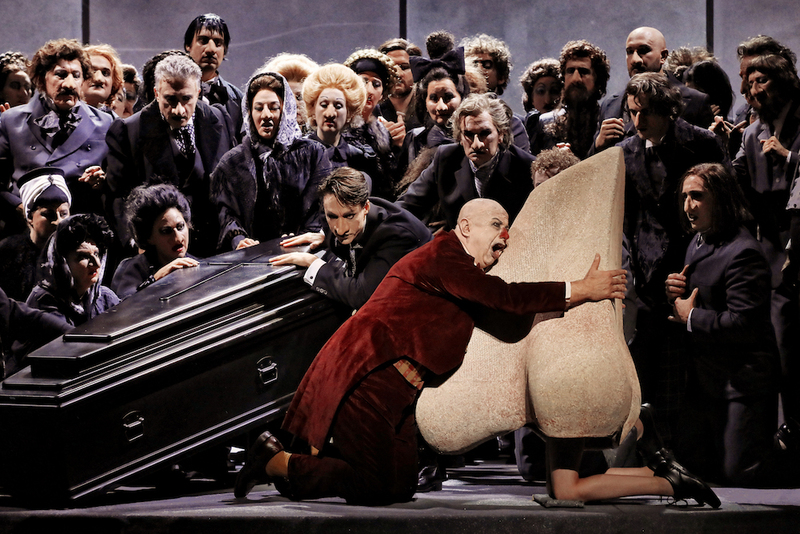 Shostakovich’s first opera – based on a Gogol story about a bureaucrat whose nose goes AWOL, causing him no end of personal and social grief – was a highlight of Opera Australia’s mainstage season, Kosky deftly commanding the incredible forces (cast and chorus rose mightily to the challenge of Shostakovich’s score) in this co-production with the Royal Opera House and the Komische Oper Berlin. An absolutely wild, crazy ride. 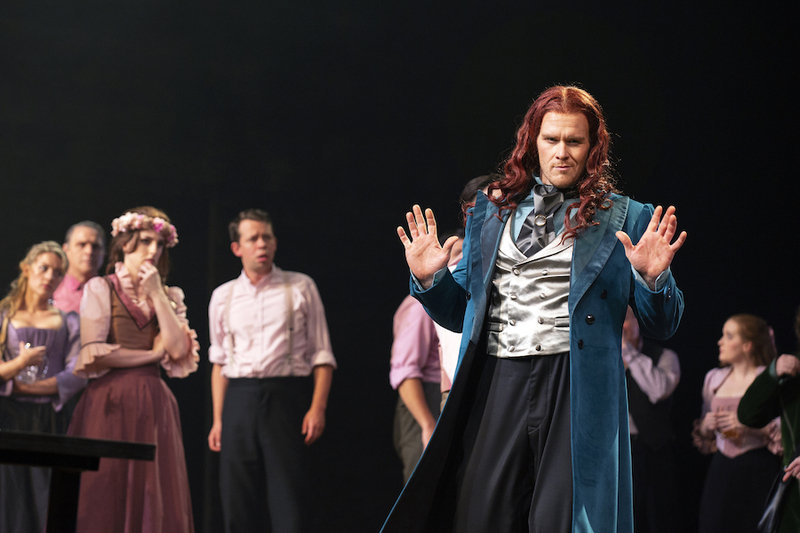 The world premiere of Damien Ricketson’s libretto-less opera The Howling Girls, in director Adena Jacobs’ visceral, dream-like staging for the ever-experimental Sydney Chamber Opera, was one of the most fascinating opera events of the year. The exquisitely (or agonisingly?) slow illumination of the stage, from an engulfing void of sensory-deprivation-level darkness, was an unforgettable experience in this haunting, enigmatic meditation on trauma and grief, with an incredible vocal performance by soprano Jane Sheldon. Definitely worth a return season. It might seem contrarian but I’ve selected just one show to include in my list of opera top picks this year. Of course, I’ve enjoyed many performances and productions of this most tricky, elusive artform in 2018, but West Australian Symphony Orchestra’s concert presentation of Tristan und Isolde burns brighter than them all – I’m sure it will continue to do so for quite a while yet. 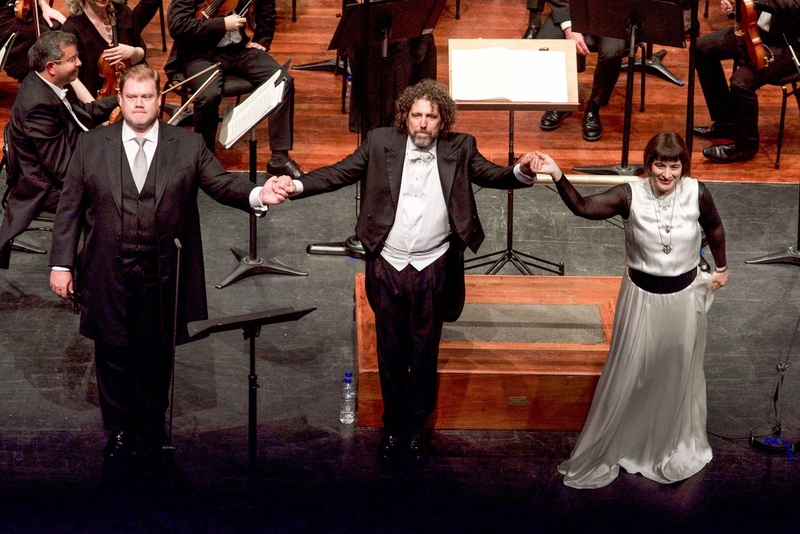 My rave, five-star review says it all, but some things are worth revisiting, if only briefly – Asher Fisch’s consummate, poetic leadership; WASO’s tremendous playing; a cast to rival, and even triumph, over those on the world’s best stages. Perhaps the most gratifying thing of all for the regular operagoer – discovering that a last-minute replacement is actually a bona fide star: Gun-Brit Barkmin played Isolde to the hilt. And of course, the force that is Australian tenor Stuart Skelton, indisputably one of our best ever singers. I feel privileged to have witnessed it. Swedish company Folkoperan joined with their compatriots Cirkus Cirkör to produce an original and illuminating take on Philip Glass’s operatic exploration of Mahatma Gandhi and his doctrine of nonviolent resistance in apartheid South Africa. Australian conductor Matthew Wood and a chamber-sized band and chorus did sterling work while Tilde Björfors’ non-intrusive direction skillfully combined the work of acrobats and singers. David Lang provided the music as 1000 singers from across New York’s five boroughs performed along a mile and a half stretch of Chelsea’s iconic High Line. Powerful and poetical stories taken from interviews with Chelsea residents were sung in bursts, fragments and even choruses by a wonderfully diverse cast of performers directly engaging with the audience who wandered freely among them. A truly unique and moving experience. 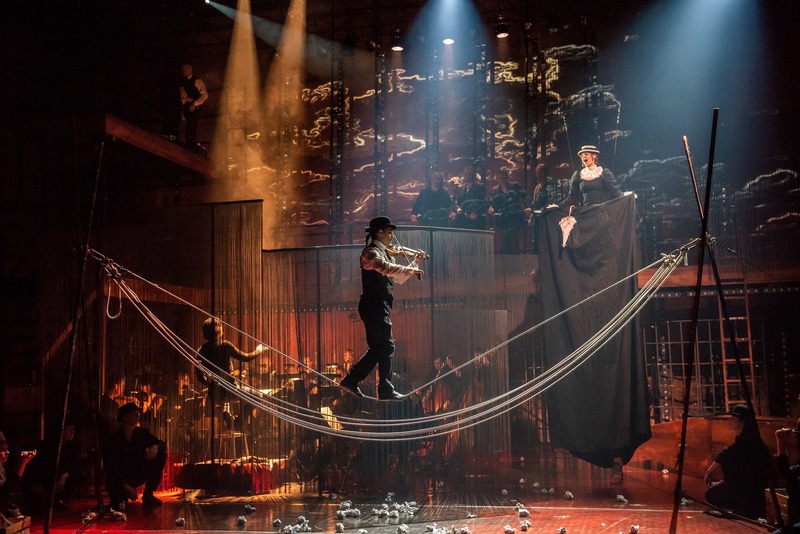 American rising star countertenor Anthony Roth Costanzo’s immersive show as part of Opera Philadelphia’s O18 Festival was a riot of visual inventiveness and musical imagination. Combining the music of Philip Glass and Handel with magical video, live dancers and an artist inside a giant light-box, the entranced seated audience were constantly wheeled around the space on pickups by a plucky host of volunteers. Exhilaratingly original.